Caryl Lucas BA, CLC: An award-winning motivational speaker, author, entrepreneur and life coach. She is the founder & president of Unstoppable Girls Foundation and CEO of Coach on Call, LLC She speaks to corporations, government agencies, colleges, high schools and conferences dozens of times a year. Affectionately known as “Coach Caryl,” she possesses boundless energy and is passionate about helping college students, professionals and young people of all ages embrace their inner power to become “unstoppable” in their lives and careers. 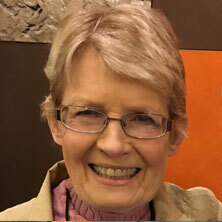 Leslie Ingram-Lewis is a Health and Wellness professional and fitness trainer with more than four decades of experience in health and fitness. She is a certified and professional health entrepreneur and President and CEO of Leslie’s Mind, Body and Spirit Personal Training. She specializes in exercise, nutrition and wellness programs designed for women, youth and girls. Over the years, Leslie Ingram-Lewis has been an advocate for raising awareness about Breast Cancer, Diabetes and Obesity disparities. She is the Wellness Advisor for the Unstoppable Girls Foundation and runs the organization’s fitness programs for girls, ages 10 to 21. For most of her business career Fran A. Hall worked for Fortune Magazine at Time Warner where she headed up the special sections department that contributed millions of dollars in advertising sales revenues to Fortune’s profits. After leaving Time Warner she was a partner in a small company that sold advertising primarily for Fortune and Business Week She currently serves as president of a nonprofit board and treasurer of another. 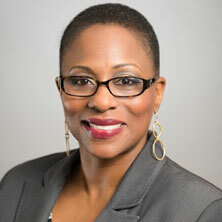 Tira Harney Clay is an educator with more than 29 years of professional experience in higher/postsecondary education, senior level leadership, student retention, growth and development, strategic planning, budgeting and forecasting, organizational development, and human resources management. Her areas of expertise include oversight of multiple campus locations, including the development, implementation and assessment of college programs and services that ensure a holistic quality of education and promote overall student satisfaction and retention. She is a board member and Education Advisor to Unstoppable Girls. 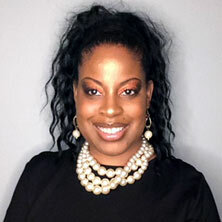 Tira Harney Clay is a doctorial candidate, Ph.D. majoring in Psychology/Clinical Studies at Saybrook University. She is the former President of Westwood College, Atlanta, Georgia and currently operates an educational consulting firm. She is a graduate of Spelman College and member of the Delta Sigma Theta Sorority. 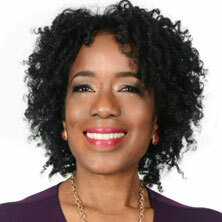 Vanessa Tyler is an Emmy award winning reporter/anchor with more than two decades of broadcast journalism experience. A graduate from Syracuse University’s S.I. 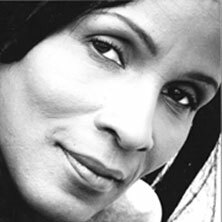 Newhouse School of Public Communications, she started her career at WTTG-TV in Washington, D.C. and has worked in Salisbury, Maryland; Rochester, New York and Charlotte, North Carolina before returning the New York’s WPIX-TV. 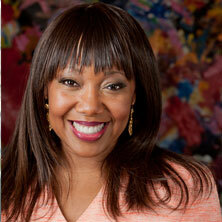 Today, this Media veteran is the host/producer of a popular new NYC television show entitled, What’s Eating Harlem. In addition to her show, Vanessa Tyler she is also a news anchor for the FiOS1 News Team. Her community service includes serving with the Unstoppable Girls Foundation, Youth Consultation Services, a statewide organization serving children in need and their families. She is a recent past board member for the ARC of Essex County, an organization helping those with developmental handicaps. Nicole D. Cunningham is an educator and teacher in the Passaic public schools district. For the past 16 years, she has been a positive role model and mentor to thousands of girls and students. She is also the founder of Model Society, an after-school summer enrichment project that is a community based organization dedicated to providing the (3E’s) enrichment, exposure, and excitement. The program strives to empower youth to develop skills and techniques that are important to the Arts. Nicole D. Cunningham is a proud member of Delta Sigma Theta Sorority, Inc. and serves as board member for T.E.M.E.O., an nonprofit organization which provides awareness for healthy Teen Dating. She received her MBA from Centenary College in 2011 and also holds a BA degree from Wilberforce University. For 20 years, Lesli Price has been advocating for minority undeserved and under-represented girls and boys through education, community outreach and youth services. She has aided in the development of our future leaders, by developing and expanding girls and boys middle school and high school empowerment groups in Plainfield, NJ. She facilitates, implements, and organizes college tours, social expos, workshops, activities and school assemblies for 6th -12th graders on self-esteem, college planning, public speaking, performing arts and community service to name a few. 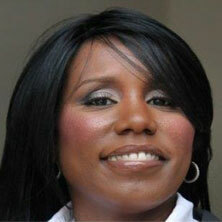 Andrea Woody is a seasoned accounting professional with over 20 years of experience. She started her business AW Financial Solutions in May 2011. Her goal is to help individuals and small business owners with customized financial solutions and nonprofit organizations achieve their personal goals. 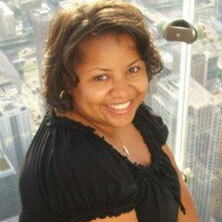 Andrea Woody is a graduate of Rosemont College with a Bachelor of Science in Accounting. She is currently completing her Masters in Accounting & Financial Management from Keller Graduate School, as well as completing the process to become a Certified Public Accountant (CPA). exempt organizations, including hospitals, public charities, private foundations and colleges & universities & churches.